It was hard for me to see him strikeout or miss a ground ball. Through Tee Ball and Coach Pitch, I knew he was just learning, but once he got to Player Pitch and the Major Division, I thought that there was no way he was going to make it to the next level of baseball if he didn’t improve. As much as anything, I didn’t want my son to be seen as an inferior or less-talented player. Thus, began dad’s nightly ‘baseball camp’ in our basement over the winter. I thought the only path toward improvement was that he should practice more and put in more work in the offseason. We would hit baseballs off the tee in the basement, and I would help him with his swing mechanics. We would pitch and field ground balls inside. I wanted to teach him the value of hard work. While I had good intentions, my son was still too young for this level of commitment, and he began to see baseball as a chore. Coaching him on every swing was frustrating him, and our sessions would often devolve into each other being irritable or downright mad at each other. I was frustrated he couldn’t get the technique right, and my son was frustrated because he felt he was always being criticized. His baseball skills were improving, but this level of commitment, and my constant coaching began to take a toll on our father-son relationship around baseball. Around the same time, my son took up a different sport about, which I knew very little about. All I could do was watch my son participate and encourage him without nit-picking at everything he did. I saw that this new sport was fun for him and that he played with a freedom and joy that was missing from baseball. That’s when it became clear to me that my overbearing approach was making baseball into ‘work’ and took the fun out of the game for him. I didn’t want to ruin my son’s Little League experience, or be the reason he quit playing altogether, because baseball became a chore. I needed to back-off on my expectations of him and allow him to be himself and not something I expected or wanted him to be. I scaled back on my coaching and changed my barometer for his success from hitting and fielding statistics to whether he had fun. I still don’t want to see my son strike out or make an error, but with my new attitude, the stakes are much lower (for me and for him). If he is smiling and laughing with his teammates as he left the dugout after the game that is good enough for me. I know that his baseball experience is about far more than baseball, and now it’s fun to see and celebrate that on-field development as opposed to obsessing over it. 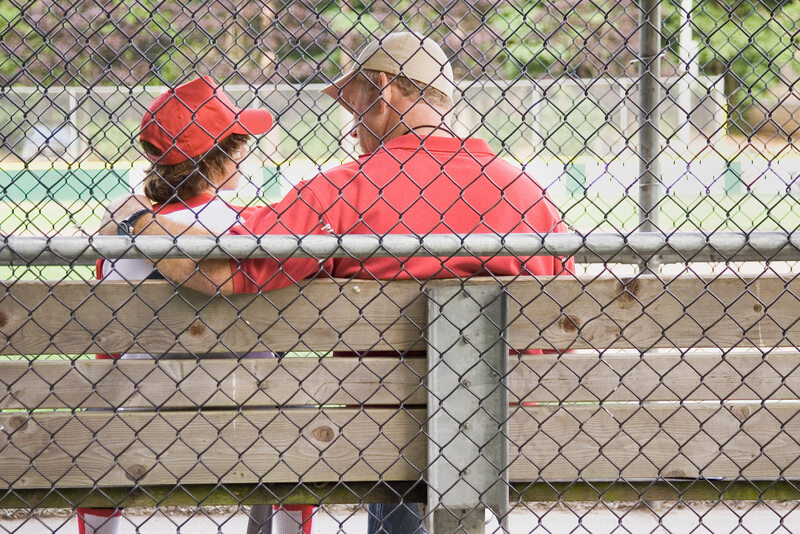 My son began enjoying baseball more and our relationship around baseball improved. It may have taken awhile, but I know that is far more important to me than whether he hits .400 or .100.